Before you can really start to understand how to maximize the effectiveness of using your computer you would really benefit in understanding what the components of a computer consist of and how those pieces play nicely together. Whether you’re using a laptop a desktop or even one of the newer tablets, basically… they’re underlying components are very similar if not exactly the same. Let’s start with the overview…. 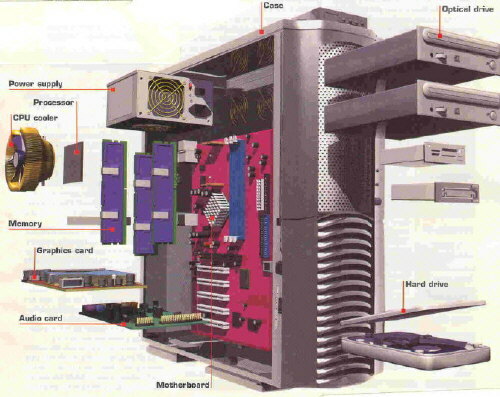 Inside the computer case, you’ll find the following components. Click on the each section to explore the roll they play in today’s PC. The motherboard is is the foundation of all your other components. The motherboard provides a way for all your other components to communicate in addition to performing some functions of it’s own. The functions of a motherboard for a desktop PC and a laptop are relatively the same with a few minor exceptions which will be noted below. Looking at the motherboard, you’ll see a rather large socket for the CPUCentral Processing Unit - typically but incorrectly - referred to as the brains of the computer. See below for more detailed information to plug into, at least 2 but up to as many as 6 long sockets for the RAMRandom Access Memory - see below for more info. memory chips to plug into, a number of slots for expansion cards and a whole slew of plugs for your peripherals to plug into such as your keyboard, mouse, monitor, speakers and so on. 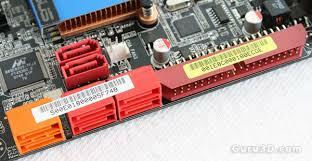 The cost of a new motherboard can generally be tied to the functionality and capabilities it contains. 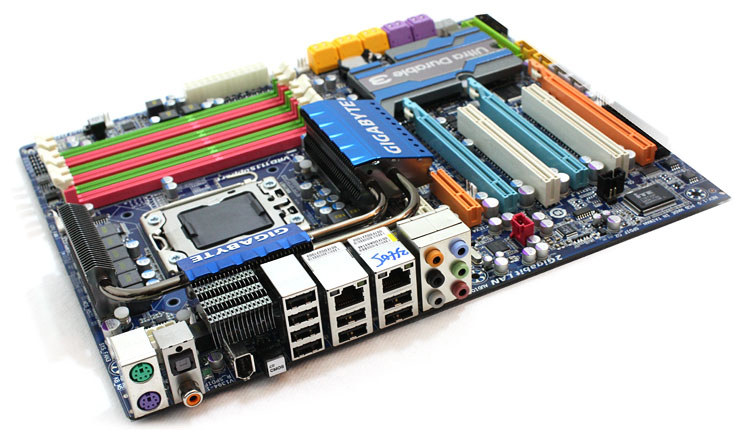 Motherboards come in different sizes – generally referred to as the “form factor.” While the form factor is generally used to reference the size of the motherboard, it also includes the layout of the motherboard as well. 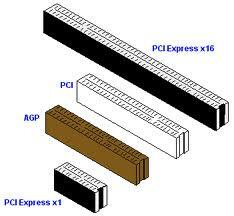 Pertaining to size, from large to small, the form factors are Standard-ATX, Micro-ATX, Mini-ATX, Nano-ATX and Pico-ATX. Motherboard prices can range from a low of about $40 to a high of about $1,100 with the price mostly being based upon functionality and speed. Some motherboards have built in video graphics chips for example while others do not. Those that do have “on-board” graphic processors (GPUs), may allow for output using various video formats such as VGA, DVI, HDMI, S-Video and RCA. Ironically, those motherboards that do contain on-board video generally tend to be the lower priced ones. 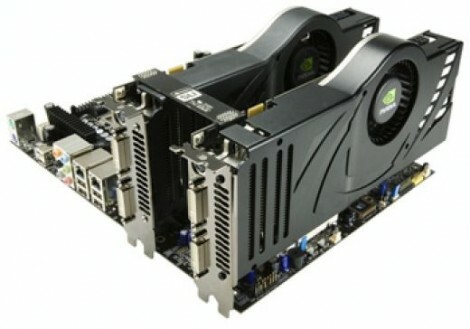 Those without on-board video, require separate video cards which plug in to the motherboards. Plug-in video cards run from a low of about $30 to a high of nearly $4,000. Yes – you read that right…. $4,000 – but that’s a topic for a whole separate discussion. Two video expansion cards installed into a motherboard and connected to aggregate their capabilities. Each video card has two DVI connectors thus allowing this computer to connect to 4 monitors at once. The CPU type that the motherboard accepts will also have a bearing on the cost. Motherboards designed to accept, and take advantage of, higher quality and speedier CPU chips will expectedly be more expensive. 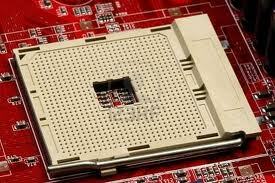 The CPU mount – referred to as the CPU Socket – on a motherboard is designed specifically for a certain class of CPU. A CPU manufactured by Intel, will not fit into a motherboard designed for an AMD CPU. 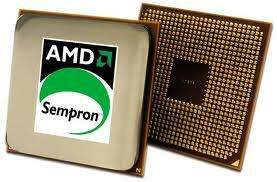 Likewise, a motherboard designed for an AMD Phenom CPU will not accept an AMD Sempron CPU. As new CPUs are developed , new socket types are developed to handle them. If you purchase a computer, knowing what type of CPU socket the motherboard has will tell you what kind of CPU chips you can consider buying should you wish to upgrade your PC at a later time. Motherboard RAM slots showing the two colors, blue and yellow, representing the two banks of memory controlled by the motherboard. two slots are colored blue and two are yellow. Each like-colored set of slots represents a bank of memory – in this case, bank 0 and bank 1. 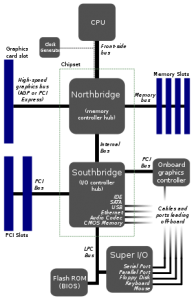 As a rule of thumb – and in most cases a requirement – when installing memory chips, the same type of memory chips, in size and speed, must be installed in the same bank of memory slots. 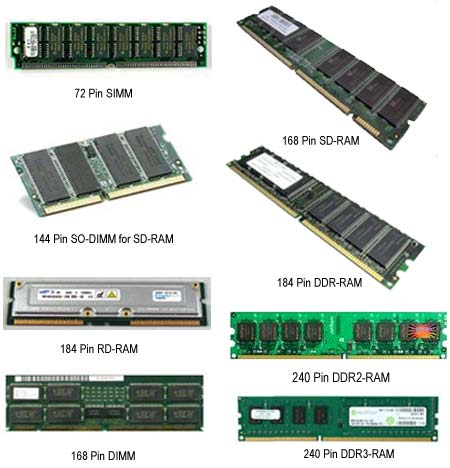 Please reference the RAM section for more detailed information. Additional considerations when looking at motherboards are the boards speed and whether or not the board is made for 32 bit or 64 bit processors. The motherboard’s speed is generally referred to as the “Bus” speed. The “Bus is basically the circuitry that connects the various motherboard components. While there are numerous Buses on the motherboard – each operating at various speeds, the one most commonly referred to when quoting motherboard speed is the one connecting the CPU to the memory. This bus is referred to as the “front-side” Bus and the speed is quoted in megahertz (MHz): the faster the better. a “typical” motherboard component layout showing the major components and the ‘Bus’ connections. With respects to 32 bit versus 64 bit capability, think of this in terms of the width of the “highway” that the data runs around on the motherboard. a 64 lane highway, being twice as wide as a 32 lane highway allows for more data transfer at the same time. Other factors affecting the performance, and thus price, of the motherboard would be the additional on-board processors, manufacturer and warranty terms. OK… I’m going to take a little ‘heat’ here by my fellow Techies for over-simplifying this but a CPU is really just a whole lot of microscopic transistors which are really just on/off switches. When a program is executed, these switches get turned on or off and based on the combinations of on/off switches, program function is carried out. When I bought my first computer back in the late 70’s, the computer had a CPU known as an 8088. That CPU contained 29,000 transistors. My current computer has an AMD Phenom II X6 1065T CPU which boasts a whopping 45 million transistors. Million – that’s right – Million! But… get this, that’s nowhere near what the top-end processors today have. Take the 10-core Xeon Westmere ex CPU with … drum roll please… 2,600,000,000! And just in case you get lost in all those zeros, that’s 2.6 Billion. That capability comes at a pretty cost though. Where my CPU ran a bit over $150, the Westmere ex runs a few Benjamins over $4,000. Today’s CPU’s have a few ways of comparing them: by speed and cores. Today’s CPU’s are measured in terms of Gigahertz (GHz). Looking at my first computer again, that 8088 CPU was able to execute 500,000 instructions per second. Today’s Intel’s i7 Extreme Edition CPU delivers a whopping 177,730 Million instructions per second or… 177.7 Billion! When looking at today’s CPUs you’ll also here the term ‘core’ thrown around a lot. Basically put, a 4-core CPU, is like having 4 independent CPU’s on one chip. While you won’t necessarily get 4 times the speed, you do gain about a 50% increase in performance for each additional core. Additionally, the cores can be run independently. While 2 cores may be dedicating themselves to one program the other two can be focused on a totally different program or function. So… with different manufacturers, single or multiple cores, different speed CPUs, how does one really compare CPUs on a relatively even platform? It’s hard. Thankfully, though, there are organizations where one can go to find this information. Generally, these organizations run the CPUs through a standard bank of tests testing everything from raw computing power to graphics handling. One of these organizations, CPU Benchmark dot net, upon running various tests then assigns a benchmark score for each CPU and thus gives the consumer a reasonably reliable way of comparison shopping. 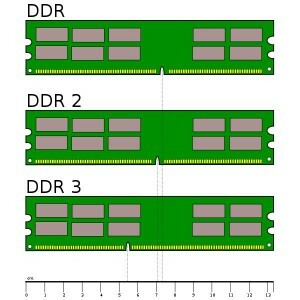 More frequently know as “memory chips”, the Random Access Memory or “RAM” modules play a greater part in how well a computer operates than might first be thought. When you run a program on your computer, the computer takes a copy of the program that is stored on your hard drive and places that copy into the RAM modules. This is done because running the programs from your RAM memory modules is substantially faster than trying to run them directly from your hard drive. This also saves wear and tear on your hard drive. The computer not only does this for the programs you run but for your operating system and any documents, pictures, video clips, etc. as well. Once your computer boots up, virtually everything that is done from that point, is done from the RAM modules. As you can imagine, that places quite a bit of demand on these relatively small components of your computer. These modules come in various sizes and speeds both of which need to be matched to your specific motherboard when replacing or upgrading them. RAM modules are referenced by the amount of memory they have and this is generally referred to in terms of Gigabytes. 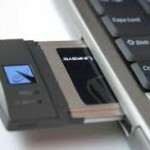 One Gigabyte is one billion bytes of information storage. When used n the context of a conversation, you might respond to a question as to how much RAM does your computer have with ….My computer came with 6 Gigabytes (GB) of RAM. Your computer’s motherboard will generally dictate how much RAM it can support both in the number of modules in addition to the maximum amount of memory it can support. 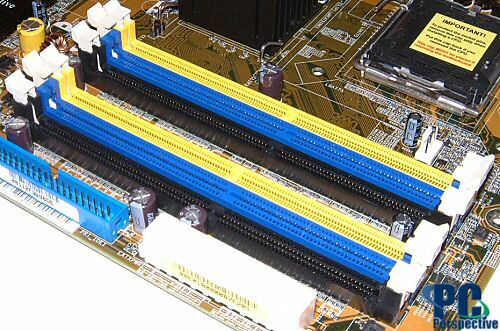 For example, this motherboard shown here contains only four slots for RAM modules – the longer red and yellow connectors in the bottom right hand portion of the picture. The RAM module connector slots are the long red and yellow connectors in the lower right hand section. If you were to look at the specs for this motherboard, you would find that the maximum amount of RAM it can support is 16 GB. One other major component which dictates the maximum amount of RAM your computer can take advantage of at any given point in time is the operating system. The 32-bit version of Window’s 7, for example, can only address a maximum of 4 GB of RAM, whereas the 64-bit version would be able to address the full 16 GB that the motherboard can support. When it comes to buying RAM, you’ll need to not only know how many modules your motherboard can handle and what the maximum amount of Gigabytes are that it can support combined with the maximum amount of RAM your operating system can utilize but also what the format of the module and the RAM speed that are supported are. As mentioned a bit earlier… RAM modules come in various Formats and your motherboard will only take one of the many that are available. 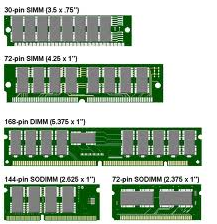 The more common formats are SIMMs (Single Inline Memory Module), DIMMs (Dual Inline Memory Module) and SODIMMs (Small Outline-Dual Inline Memory Module). In addition to the module format, there are different classes of memory: DDR, DDR2 & DDR3. The “DDR” stands for “Double Data Rate” and relates to the speed at which the module processes the data. To help make sure you use the correct module, most modules will have a small notch cut into the edge of the module which has the contact points. Making sure the notch is in the correct position and matches up with the corresponding plastic “bump” in the slot is a good indicator that you have the correct module for your computer. Finally… as if all that weren’t enough… there are additional considerations when it comes to buying RAM modules…. it’s best to consult with your motherboard manufacturer or in lieu of that with the PC manufacturer to determine what your best options are. In lieu of that… either be prepared to do a good hour or more of research or… better yet… consult with a professional – like me! Important item one about hard drives…The hard drive of your computer is where all of your programs and data are stored. Basically…. everything you care about… or, rather… should care about. 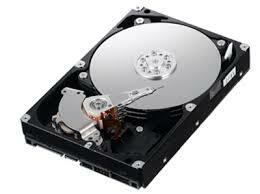 Important item number two about hard drives…… they will eventually fail. Not “if”… but “when” they fail, you could and most likely will loose everything… programs….data… everything. Hard drive cover removed shows the major components: Actuator, actuator arm and head and the platters. A closeup of the actuator arm and head and the hard drive platters. Inside the hard drive case, you’ll find a number of disks, referred to as platters. Each platter has a read-write head which floats above the platter and reads data from and writes data to the hard drive. The more data the hard drive holds, the more platters it will have. 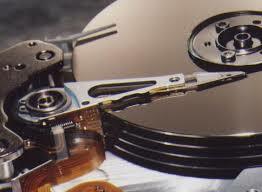 The typical hard drive in today’s computers will have 4 or 6 platters and with each platter having two read/write heads (one for each side of the platter) and that would mean a total of 8 to 12 heads. The platters in the hard drive spin at about 5,400 rpms (revolutions per minute) with high speed hard drives running at about 7,200 rpms and some “top-end” drives running at 10,000 rpms. As the platters spin, the read/write heads (actually, known as actuators), zip back and forth over the platters to read and write the data. 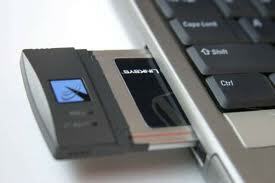 The faster the speed of the hard drive, the faster the data can be read from or written to the hard drive. 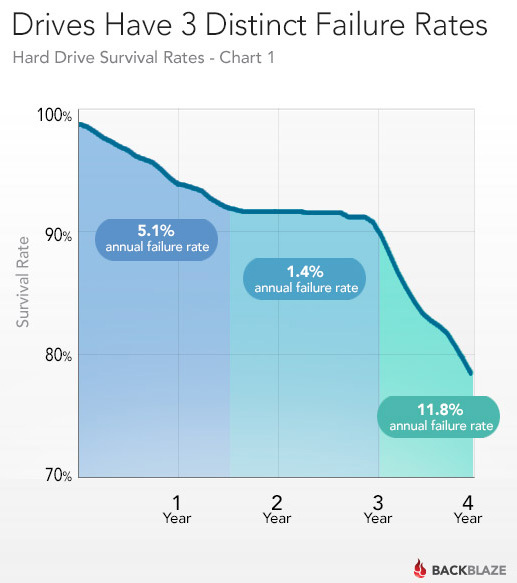 As all technology is under constant improvement, hard drives are no different. Newer hard drives are turning towards all solid state (SSD) technology, replacing the platters and actuators with memory chips. No moving parts means no parts to wear out and less heat buildup. BUT…. ahhhh… there had to be a ‘but’ didn’t there? Just because they’re solid state, doesn’t mean that they don’t wear out. 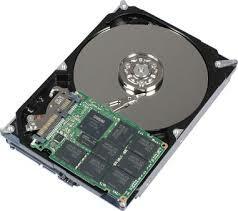 In actuality, SSD hard drives tend to have about the same life-span as the traditional hard drive. So why bother then? 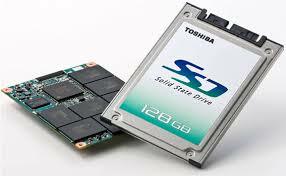 SSD drives are faster than the typical hard drive with respects to how fast they can read and write the data. 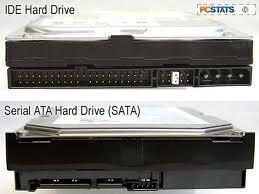 A program that may take a few seconds to load from a typical hard drive may load in the blink of an eye with an SSD. Additionally, since there are no moving parts, they tend to run cooler and – of course – a lot quieter. Unfortunately..being newer technology, they are still on the expensive side. Where $80 will buy you a 1TB standard hard drive, the same amount of money will maybe fetch you a 120GB SSD. An alternate option would be a hybrid hard drive which would combine the best of both worlds combining some SSD technology into a standard hard drive. with this SSD hybrid drive, you’d have about 4 or 5 GB of solid state memory which would run your operating system with the remaining 500 GB of standard hard drive action for your data – and for about $80 or $90. While virtually all of the newer computers use the newer SATA format connectors, if you’re planning on replacing the hard drive on an older computer, you may find the hard drive has the older IDE PATA format connector. Of course, there are adapter cables which can be used to allow you to use the hard drive of your choice but adapting the newer, faster SATA hard drive to connect to an IDE connector on an older motherboard will hinder the newer drive’s performance. It merits to check the motherboard as many of the motherboards have both formats of connectors. 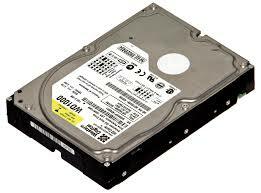 The last thing about hard drives – a repeat of the first… they will eventually fail so always have a backup of your data. Any data not backed up is data meant to be lost.